Can we talk about frico for a minute? 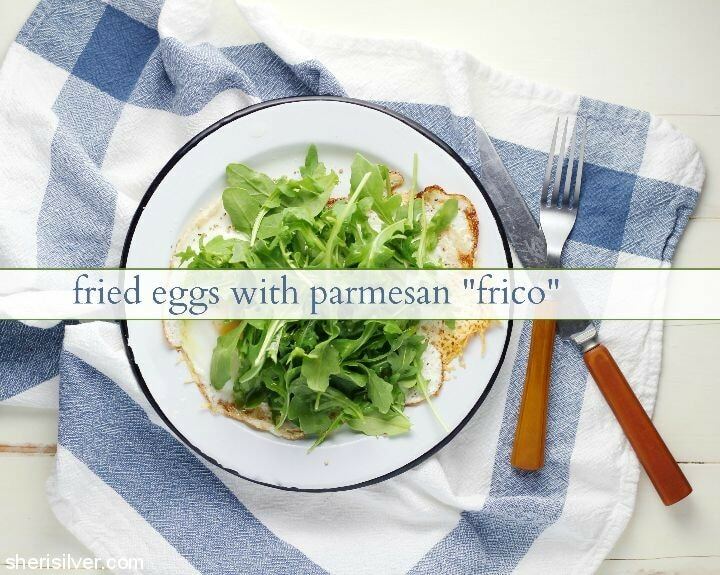 Frico is an Italian cheese crisp, simply made from any shredded hard cheese (typically Parmesan or Asiago). It’s an easy, 1-ingredient appetizer, and heaven sent for those who love the crunchy edges and bits on their pizza, quesadilla or any other melted cheese dish (you know who you are). On nights when Mike is not home my go-to dinner is a fried egg – with lots of grated cheese and ground pepper. 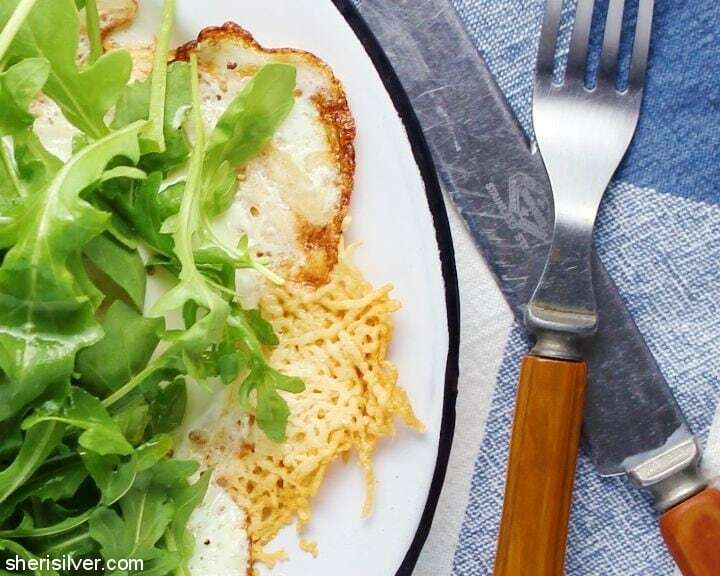 So when I came across this recipe – and realized I had some leftover baby arugula – I was thrilled to give my humble dinner an upgrade. This was so delicious, and so simple-yet-ingenious that I’ve had it at least once a week since. What’s your favorite “dinner-for-one”? Hit me up! Heat a small non-stick skillet over medium heat. Spread half the cheese in an even layer and cook for a minute. Crack one egg on top and cook for two minutes. Cover and cook for one more minute, till the white is set but the yolk is still runny. Transfer to a plate and repeat with the remaining cheese and egg. Season with salt and pepper and top with arugula. Squeeze the lemon over the top, drizzle with the oil and season again to taste. Serve immediately. More dinner “irl” on Pinterest! One & done! Yumm. My kinda cooking.